Maintaining a safe work environment for employees presents a unique set of challenges in industrial applications. While there is plenty of debate as to how to improve safety, most would agree it’s a mission critical part of their business. Whether you are operating a machine shop, factory or industrial plant, safety is always going to be a concern. With employees working long, difficult hours around potentially dangerous equipment, the chance for injury, or worse, skyrockets when proper procedures aren’t followed. But how can employees work safer? And how can managers help them do so? According to Safety Culture and Change Management Consultant Phil LaDuke of Environmental Resources Management, maintaining a safe work environment starts with engaging all employees. 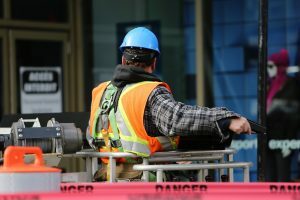 LaDuke, who has worked as a safety consultant with oil, gas, mining, automotive and manufacturing companies and published two books on workplace safety, said facility managers often need to look deeper when it comes to maintaining a safe environment. A lot can go wrong in an industrial setting and LaDuke called out preventable fall from height incidents as a major safety concern and “isolation of hazardous energy” incidents as frightening and almost always deadly. But the biggest cause of injury is perhaps the most basic. Building a culture around safety can help mitigate these incidents, as employees who are engaged are more likely to call out issues they see and take action to fix those issues. Too often, policymakers misunderstand the impact of poor worker safety on the bottom line. Workplace injuries can be costly both financially and in terms of productivity. For many companies, improving the work environment starts with a cultural change in the way they think about safety.